Australian Criss Canning, born in Melbourne Victoria in 1947, is a leading still life artists. Criss Canning rich strong paintings are clearly Criss Canning’s own style of beautiful fine art. Very much accomplished technically, her work is rich in colour, complex in design and sensuous in effect. Criss Canning’s paintings repay careful and repeated viewing. Each brushstroke is lovingly and lusciously applied. The objects in her work, the flowers, ceramics, trays and fabrics are arranged and rearranged until a wonderful balance and harmony is achieved. 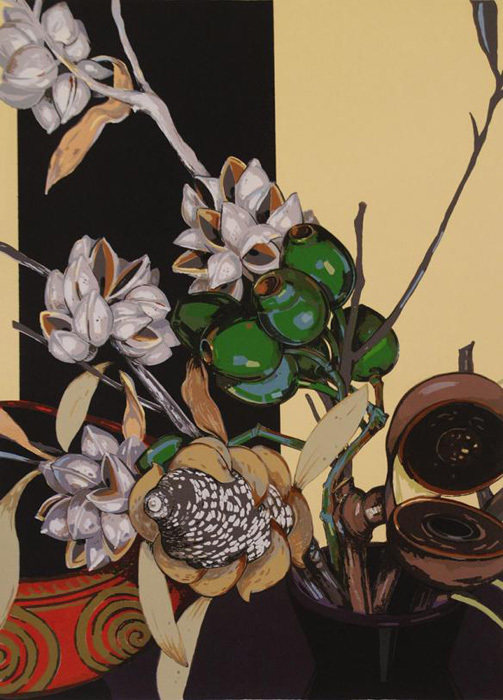 Only then does Canning put paint to canvas.Criss Canning Australian limited edition fine art etchings and prints available at Etching House.